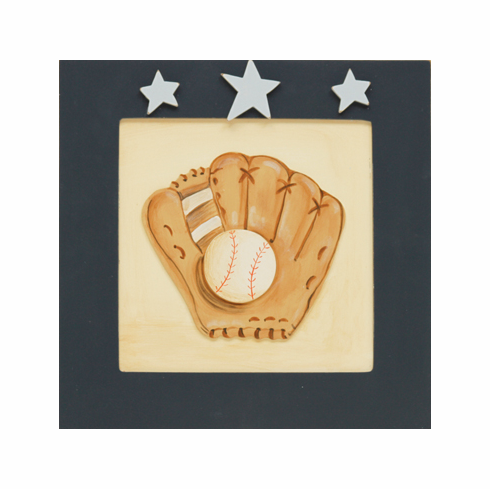 This 3-D sports artwork is beautifully handcrafted and unique to the children's industry. These designs have three levels of hand painted wood and the outside dimensions are 15" x 15". Our special price is $59.99 each...or buy all 4 sports for $199.99! Gift wrapping not available - please allow 1-2 weeks for shipping.